In this activity students design and model a 3D robot arm. 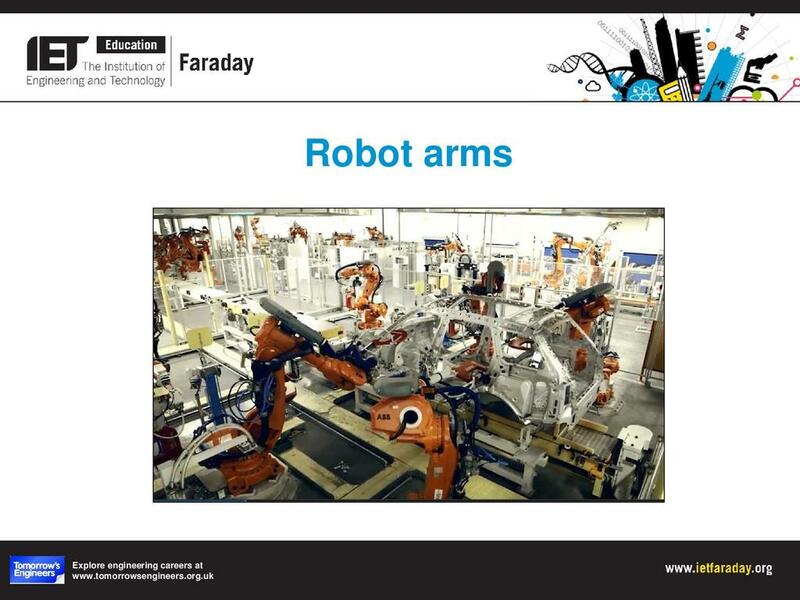 Robot arms are an example of a programmable system. They are used in a wide variety of industrial applications, ranging from loading machines to assembling cars, welding parts together and spray painting products. They are also used in applications such as bomb disposal and repairing spacecraft as they orbit the earth. In this series of activities, students will design and model the physical elements of a robot arm, produce a 3D model of a robot arm. 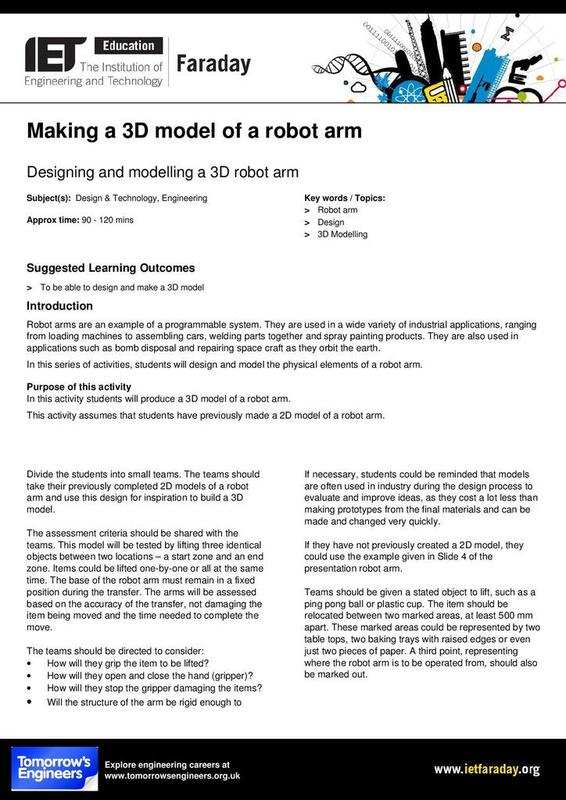 This activity assumes that students have previously made a 2D model of a robot arm. The teacher notes give clear and comprehensive details on how the activities are to be delivered.